You may have tested your water with one of our water test kits and found the results are not what you expected? You wish to ensure you are providing your home, office, school etc the best possible drinking water? You may simply be conscious of the water you put into your body? You wish to be drinking only the best tasting, clearest looking, purest water? You wish to save money by avoiding buying bottled water? ...then a water filter or water purifier could be the solution for you. Chlorine: Many towns & cities sanitise water with chlorine. Chlorine can react with organic matter in the water, such as vegetation decay, and disinfection by-products called Trihalomethanes (THM's). THM's are suspected human carcinogens. Chlorine may also create objectionable taste and odour problems in water. In large amounts, chlorine can be irritating to the skin as well as an eye, nose and lung irritant when exposure to the air is encountered. Ingestion of chlorine can cause stomach discomfort. More economical than bottled water: Water filters are good on average for 3,000 litres* before you need to change the filter, which works out to just 6 pence a change. Compare this to Highland Spring, the UK's biggest selling brand of bottled water, at 82 pence for 750ml** or even Tesco own brand at 38 pence for 500ml** - and it is clear that drinking highly filtered tap water could save you thousands of pounds whilst reaping the benefits of healthy, life giving water... rather than water that has been sitting in a plastic bottle in a warehouse for who knows how long. (*please cheack with each brand as lifetimes can vary from product to product; **prices correct at time of writing this article, prices may vary). Fluoride: In many towns & cities fluoride is added to water. However, long-term studies on the effects of fluoride claim that it can cause a multitude of health issues including cancer (specifically bladder), gum disease, thyroid dysfunction, kidney and liver disease, genetic defects, endocrine imbalance, nervous system disorders and bone disease including fluorosis. Pesticides, Pharmaceuticals and Heavy Metals: There can be many trace chemicals and pharmaceuticals contaminating your water – things like prescription drugs, lead, heavy metals, pesticides and even asbestos. For more information, also read an overview of the potential contaminants in your drinking water. Top Tip: There are many different types of water filters on the market, ranging from simple water filter jugs (like Brita) to more complex systems like Reverse Osmosis machines or Ionisers. If you have not purchased a water filter yet, then we would recommend to test your water first in order to identify any contaminants. This way you can make an informed decision about which ones you would like removing. Depending on the area where you live, elements like hardness, chlorine, metals content (ie. iron, copper, lead) can vary. A simple water test like the 13-in-One test kit, Total Dissolved Solids test and the Total Metal test can identify the current levels of impurities in your water. Once the water has been tested, you can decide what impurities you would like to remove or reduce with your new filter. That way, you get the right water improvement system / water purifier that suits your water quality and needs. Filters are designed to filter specific contaminants, test your water first to find out what yours are. You will have to regularly change the filters, factor in the cost of replacing filters . Check how much water your family uses, include water used for cooking. Countertop and undersink filters can usually filter lots of water. 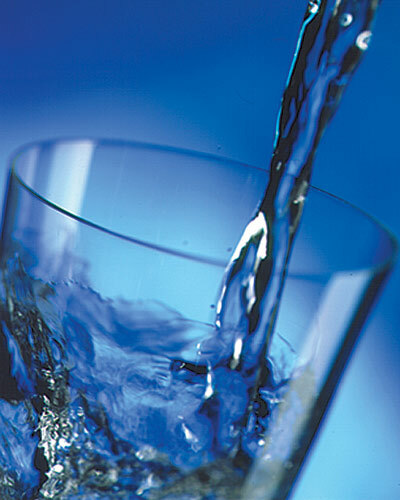 Filtering water can be slow with some types, carafe and reverse osmosis filters can be slowest. Designed to mimic the natural flow of water through rocks (etc) by slowly letting the water drip through the internal filters, these water purifiers remove potentially noxious elements found in tap water (bacteria, nitrates, chlorine, sulphates, heavy metals, chemicals...). The success rate of the 7 filtration stages (or sometimes 9 stages) is very impressive. They eliminate 98% of the harmful substances and many types of bacteria and microbes. Some filters also increase the pH of the water, which is ideal for a healthy body and good assimilation. Please check details with each manufacturer. These usually come as compact size jugs, which fit in your fridge and have a similar filtration method as the gravity water filters, although on a smaller scale. They can have multiple-step filtration systems, removing mostly impurities from tap water, including calcium carbonate, common in hard water areas, which causes the build-up of lime scale in kitchen appliances. Some claim to reduce levels of herbicides, pesticides and chlorine by up to 80%. Please check details with each manufacturer. Water Ionisers have become popular in recent years. They are an appliance, designed to raise the pH of drinking water by using electrolysis to separate the incoming water stream into acidic and alkaline components. Some also remove chlorine, chloramines, lead, bacteria, rust, arsenic and traces of pharmaceuticals from your tap water. Plus beneficial magnesium and calcium minerals are added along with an ionic charge that creates hydrogen rich, antioxidant water that is great tasting and silky smooth, as well as better for hydration and absorption of nutrients. Ranging in price and function, choose from an electric system to a more simple gravity powered version. Please check details with each manufacturer. Alkaline water, described as water with a value on the pH scale higher than 7 (7 is neutral), has increased in popularity in recent years due to rising awareness about its potential health benefits. Advocates of alkaline water praise its ability to help the body deal with chronic metabolic acidosis, a root cause of many adult degenerative bodily conditions. Acidosis is a result of a number of factors including poor diet, stress and environmental conditions. For more information about the Alkaline Diet, please also read our Alkaline Diet Resources. The only guaranteed way to get pure water is through steam distillation by using a water distiller. Distilled water is 99.8% pure, which means it is purer that any bottled or tap water and purer than using any other type of filtration or purification method. Water is gently boiled to kill off viruses and bacteria. The steam produced is captured in a stainless steel coil where it cools to form pure water. This passes through an activated charcoal filter to remove any trace impurities. It is recommended, to add minerals back to the water, as during the distillation process the water is purified to a point that it could be lacking these essential minerals. This intensive process can have an effect on the taste of water, which may not be to everyones liking. Reverse Osmosis is a technology that is used to remove the large majority (98%+) of contaminants from water. The reverse osmosis system works by pushing the water under pressure through a number of increasingly smaller filters and finally through a semi-permeable membrane essentially trapping all contaminants. Depending on manufacturer, tends to remove inorganic elements, like Aluminum, Arsenic, Barium, Benzene, Cadmium, Calcium, Chloride, Chromium VI, Copper, Fluoride, Iron, Lead, Magnesium, Manganese, Mercury II, Nitrate, Potassium, Selenium IV, Silver, Sodium, Strontium, Sulphate, Total Dissolved Solids (TDS) and Zinc. Can also remove organic elements, like Adrazin, Aldrin, Chlorine, Chloroform, Dichlormethane, DOT, Endrin, Fluoranthene, Herbicides, Lindane, Methoxychlor, PCB, Perchlorethylene, Pesticides, Phenole, Tannic Acids, Toxaphene, Trichlorethlene, Trihalomethanes, V.O.C.'s. Please check details with each manufacturer. The downside is that RO machines may increase water bills by up to one third, due to the waste stream. It also alters the water so that it can taste very differently and much less pleasant. Although not a water filter, these clever drops add an alkalising boost to your water. A great way to give your drinking water additional minerals after filtration or distillation. These pH drops will restructure the water, enabling the water to hydrate the body more effectively (similar to a water ionizer). For more information, click here. * Our Product information as well as list of Features & Benefits is a summary. Please always check details for each product with the manufacturer. For further information from an independent source, we can recommend the Leaflet from DWI/DEFRA about filters and water softeners. Click here to read.